The special police stormed the postal office. 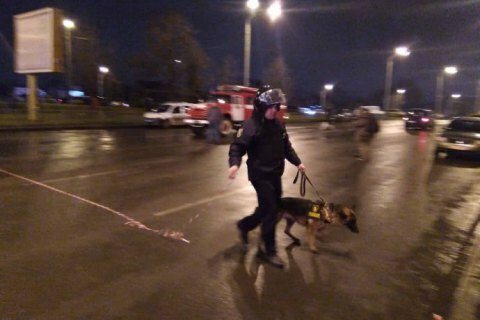 The special troops have stormed a postal office in Kharkiv, where a man took seven people hostage earlier on 30 December. The law enforcers managed to get in after one of the hostages found a way to open the door. All of the hostages are intact, the criminal was apprehended. According to the released people, the man was threatening to blow up explosives. Following negotiations with police, he first let three women and two children go. One of the released boys said that the man had two bottles allegedly containing an explosive substance and wanted to be filmed for online. The police later said that the criminal, born 1977, lived not far from the postal office and had an antisocial lifestyle. He was in an altered state of mind and could not explain his demands.